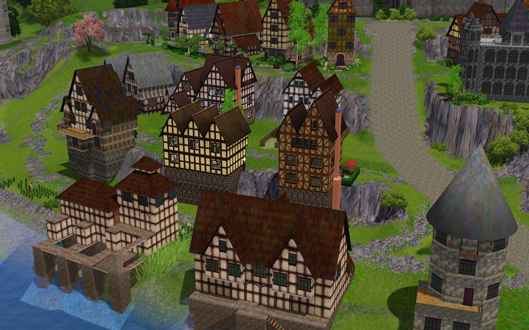 The kingdom of Castle Keep is a rich and colorful land where all kinds of residents live. 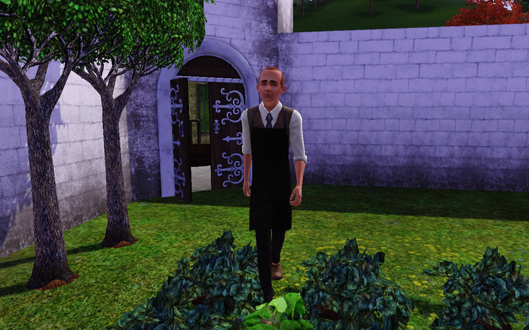 With open arms, generations of Castle Keepers have welcome sims from all walks of life. On 222 Black Sand Beach reside the von Oz wizard siblings, Bianca and Bruno, they have adopted little Sonja as their apprentice. On Gull Island stands the light house of Castle Keep, guiding ships home. 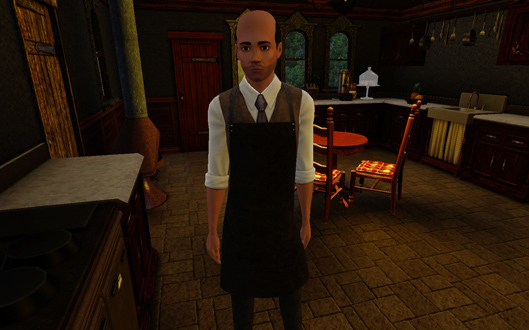 Hubert Fansworth manages the light house, but he is getting old, and without children of his own, it’s uncertain who will take over, once he is gone. 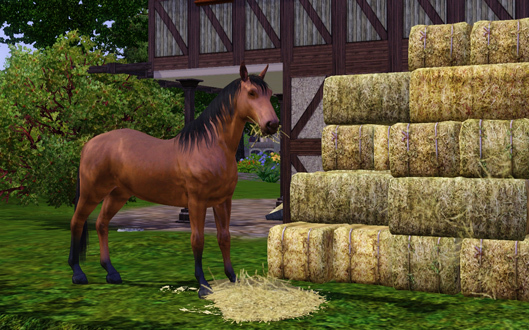 On 2319 Captain’s Way lives the Osegura family, Kristy and Reynaldo have their hands full with their three children, Hunter, Tonya and little Heidi. 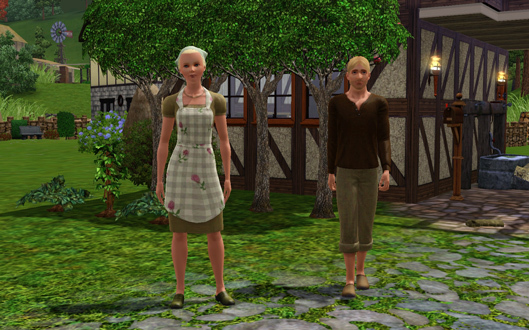 Three generations of Dawson women are living under the same roof on 2402 Gull Loop. 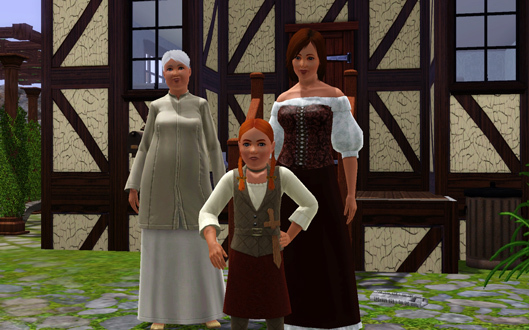 Rose’s husband died in the 50 year war and left her to take care of her mother Maria and daughter Daisy. 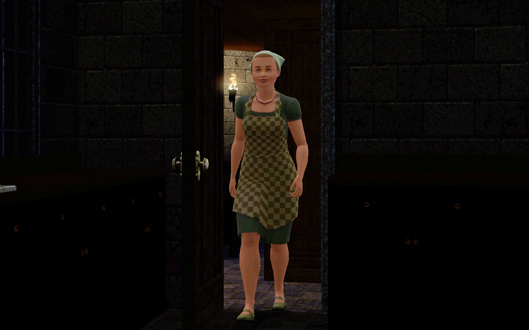 They get on fairly well, but it is not taken lightly that women in Castle Keep live on their own, unless Rose finds someone to marry soon, people will start talking. On Wilde Wood Hill lies the dark mansion of the Hemlocks. 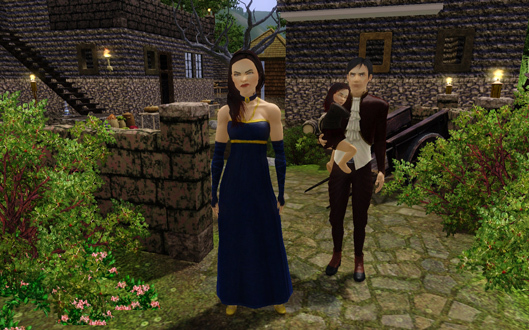 Masters of the night, Morrigan and Wogan intend to raise their daughter Belisama away from the peering eyes of the town. 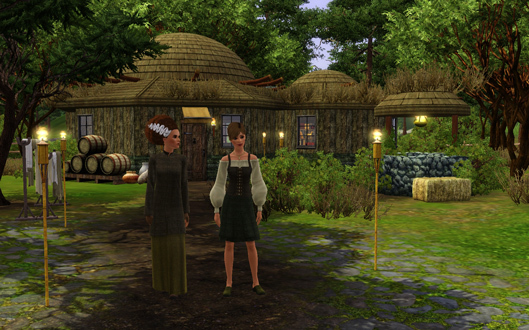 The witches hut on Wild Wood Downs, is inhabited by mother and daughter, Lala and Tiara, renown throughout the kingdom for their great powers. After finding each other, Fiona and Shrek have decided to settle down in the Troll Swamp Hut and have children. By the sea, on 2319 Captain’s Way, lives the Fisher family. For generations the Fishers have defied the sea of Castle Keep to make their living. It was in one of these long journeys together with his father, that William Fisher met his wife Anne. After a storm they reached unknown land, where another civilization with other traditions and customs resided. 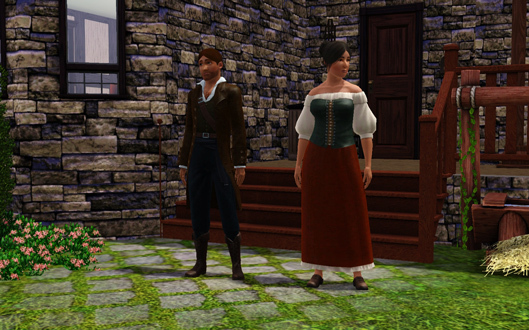 They were taken care of, and they were helped to repair their boat before departing back to Castle Keep. 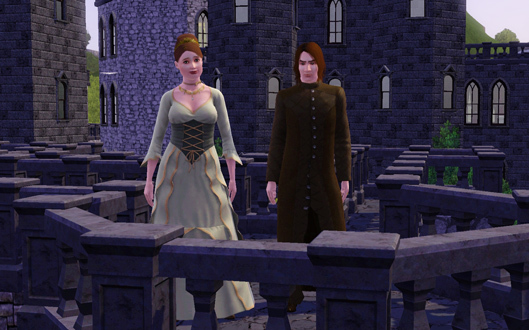 During their time there, William met Anne and they fell in love. 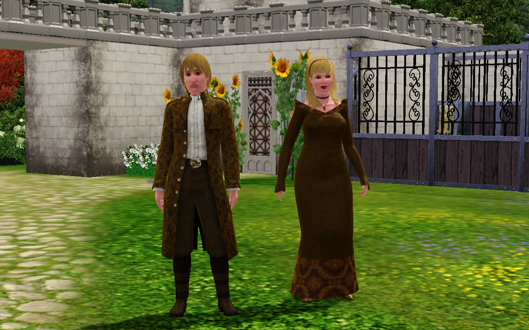 He asked her to come to Castle Keep with him and make her his wife. She said yes. 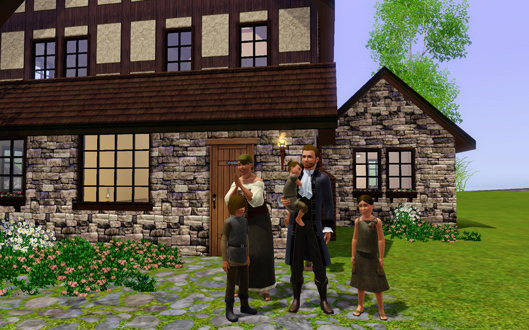 The peasant family, Le Peasant, have their humble home on 100 Old Lake Road. 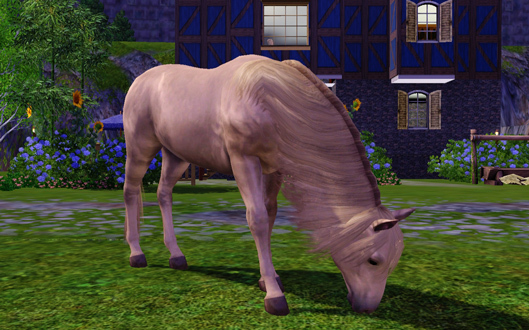 Their families have cared for the land of Castle Keep for generations, although they’ve put a lot of hard work into it, they have not been very lucky. Money has been short but love is all they need. Being the 7th child of his parents, Mark wants a large family too. Due to the 50 year war, however, Mark was forced to join the army as a young lad and has fought many battles, in times of peace, he hopes to again get to work the lands and enjoy the outdoors. On 224 Abbeyhill Road the merchant family Wall, live a simple life. 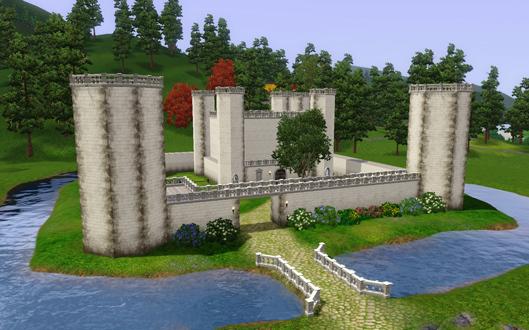 The Walls are a fairly new family in Castle Keep, only 3 generations of Walls have been traced to be born in the lands. 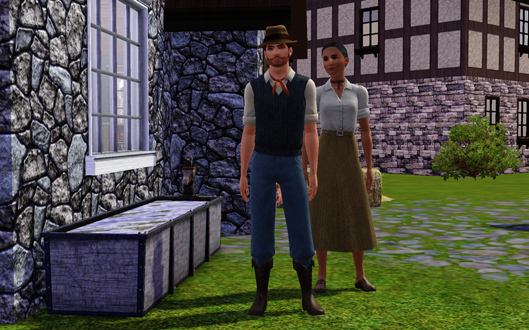 Elmer and Lecie Wall are newlyweds and working hard to make it in town. They are the entrepreneur and pioneering type of family, with interesting and unusual ideas. On 147 Castlegate Road, lives the Potter family, who are a family of goods merchants, and Castle Keep’s provider of foreign pottery, arts, books, crafts and inventions. The family was quite prosperous during the 50 years war since the local production was low, due to everybody being involved in the war. However, peace has brought a change to their income and the Potters will have to see if they succeed in their business. 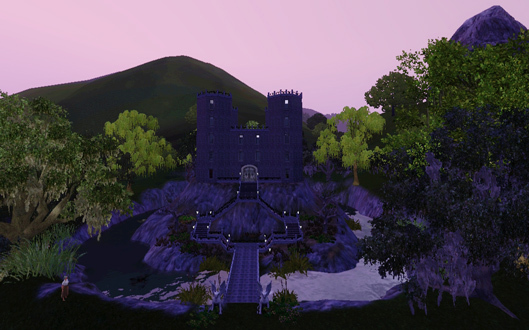 The Dark Castle of Badlands, rises at the far edge of Castle Keep, overlooking the town and the sea from it’s high hill. 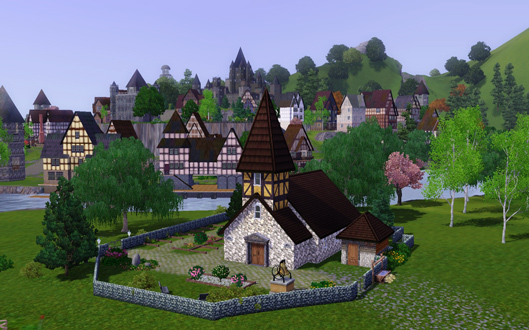 Residents of the town like tradition and although the Vaughan family, one of the two noble houses of Castle Keep, aren’t really bad sims, the area still goes under the name of Badlands and the castle is still known as The Dark Castle. The Vaughan family may be a bit odd, in their constant pursuit of knowledge they have been willing to compromise on the social skills needed to gain the approval of the bigger masses. To tell the truth, the Vaughans enjoy to play along with the whole thing, as long as they are left alone to work on the pursuit of the mind. Nevertheless, the Vaughan family are important advisors to the royal family and they stand behind the science and inventions that drive the society forward. 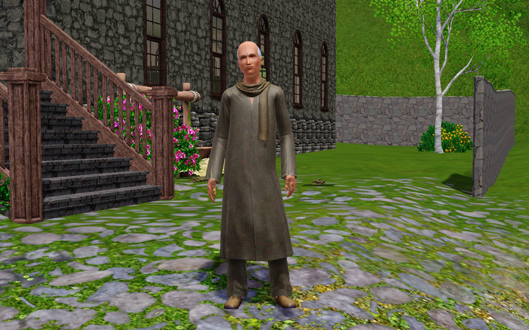 The third sibling of the renowned servant family of Castle Keep is the one in charge of the Vaughan household. 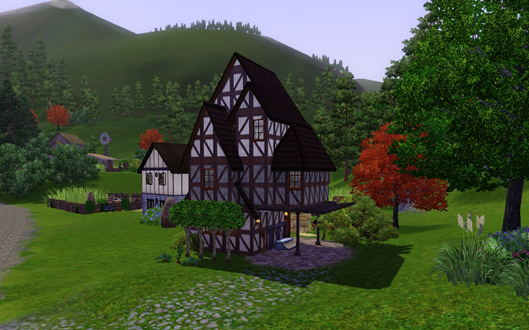 The White Castle, on Valley View, had been the home of one of the two noble houses of Castle Keep, for generations. The d’Angerville family was a powerful family with great influences in the military of the kingdom. As such, they had invested their whole fortune and many of the members of the family in the 50 year war, leaving them in a precarious situation when the war finally ended. The White Castle, had seen better days. But the d’Angervilles were finally recovering economically and were still one of two main advisors to the royal family. To take care of the household was a member of the renowned servant family. 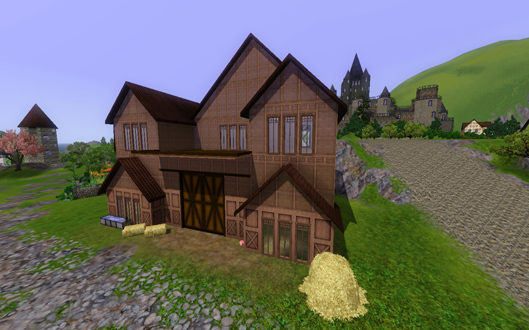 At a far corner of the Kingdom of Castle Keep lay a small Peteran monastery on what was known as Aspen Wood Hill. The monastery had been established when a solitary Peteran monk, named Peter, arrived to the lands of Castle Keep after being lost in the woods for weeks. 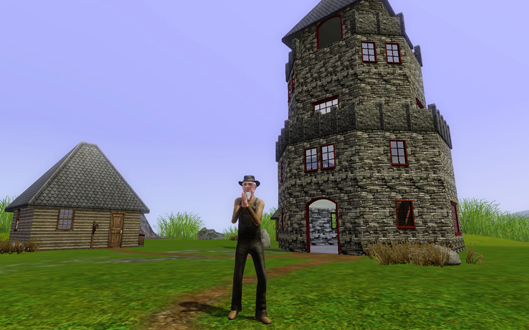 Peter the Seeker saw the whole ordeal as a sign from the Watcher and decided to settle in Castle Keep. He sought an audience with the King who listened to the priest. The King, who was easily impressed and seeking guidance to keep his people happy, was easily convinced to follow the Peteran faith and allowed the monk to establish the monastery. The rest is history. Close to the monastery, at River Front Acres, lays the small Peteran church that was built by Peter the Seeker. 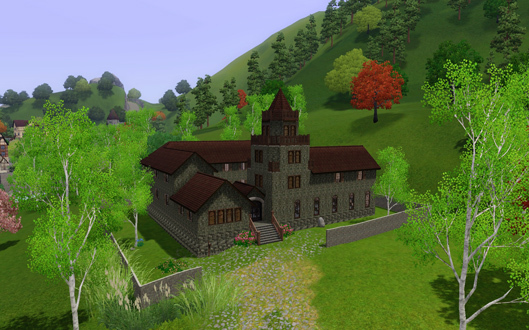 The First Peteran Church had served well for sermons and gatherings of the residents of Castle Keep for generations, but the followers soon grew to such large numbers that the church was soon too small to host larger gatherings. Still it remained a beautiful building and an important treasure to the community. 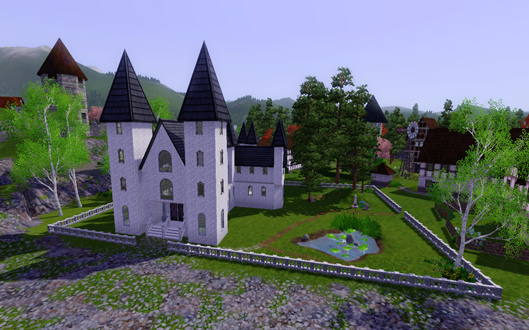 With donations from the royal family and the two noble houses of Castle Keep, the Castle Keep Peteran Cathedral was built in the center of town. Important events such as royal and noble weddings, funerals and celebrations surrounding the Peteran faith, were all held at the cathedral, that was a lavish and beautiful building. 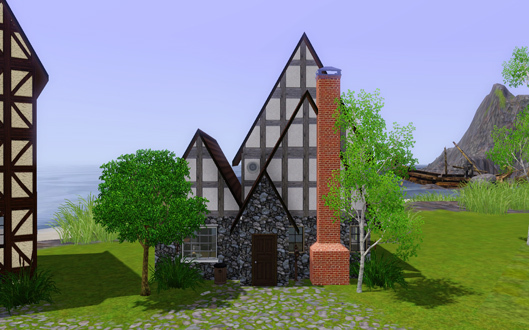 Across the street from the cathedral, on 800 Friar’s Way, was the new graveyard, The Last Rest, that was to house the tombstones of generation of Castle Keep residents. It was established after the 50 years war, the old graveyard was overwhelmed by the large amount of deaths that the war brought, and had to be closed. Of all the nuns and monks that had once devoted their lives to the Peteran faith, only one monk remained, Peter the Diligent. 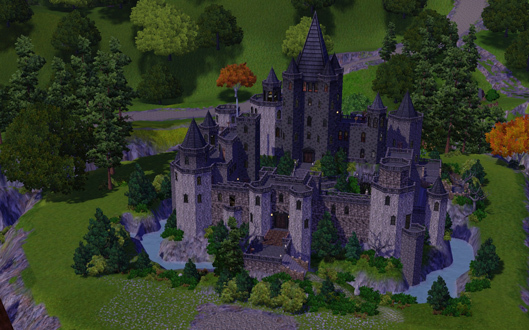 The Castle Keep’s had ruled the lands for as long as anybody could remember. Although, there was a time, when people doubted they would remain in power. During the 50 years war, King Solicitus IV, from the neighboring kingdom of Othirer had time and again attacked the Castle Keep kingdom to subdue it. 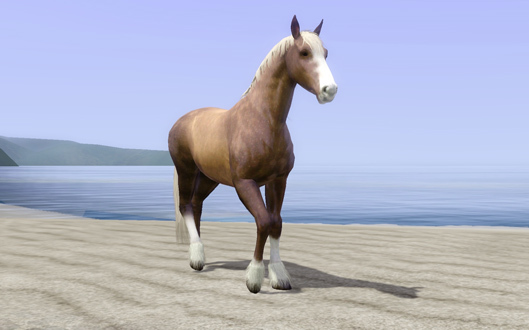 King Lucius III, ruler of Castle Keep, had fought for years to remain in power, he had never known the times of peace. He saw his father die on the 10th year of the war when he was a young lad of 12, and from that day on, he swore to fight until his last breath. Which he did, for 40 years he kept up the fight, until his death at the age of 52. His only son Edmund, decided it was time for peace, and was able to sign a peace treaty with King Solicitus V, in which a marriage arrangement was included. He was to marry King Solicitus V’s daughter, Eleanor, this way, the two kingdoms would ensure common peace and prosperity in the future. Nobody remembered why the war had started to begin with, and since Castle Keep was left penniless and run down from 50 years of war, everybody was happy for the peace. 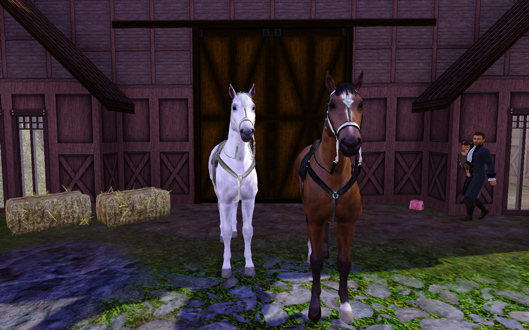 The royal household includes two magnificent horses, residing in the Royal Stables, property of the royal family. To take care of the household, the royal family has a large group of servants. The head of the household is of a renowned servant family.